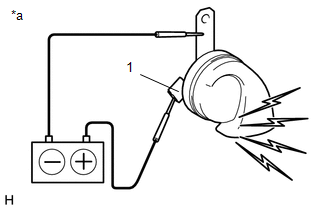 (a) Apply battery voltage and check the operation of the low pitched horn assembly according to the table below. 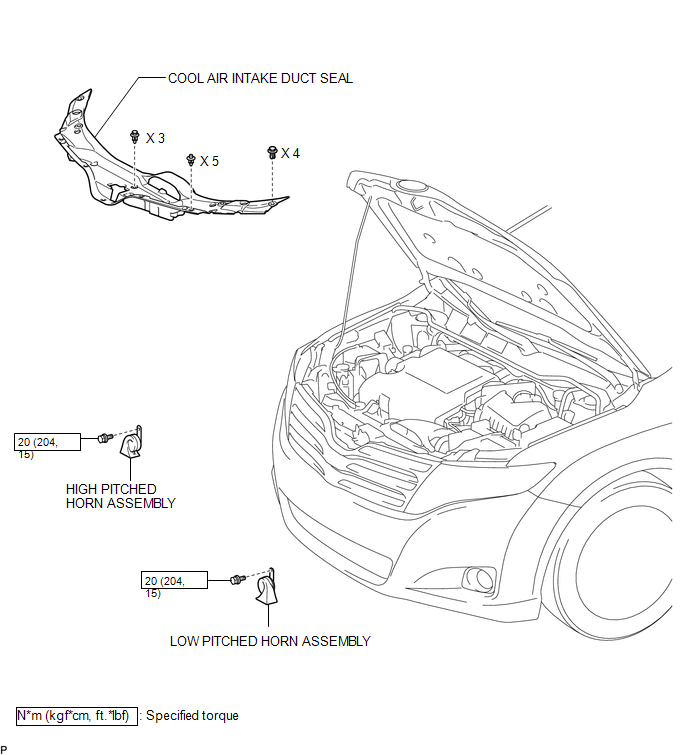 If the result is not as specified, replace the low pitched horn assembly. 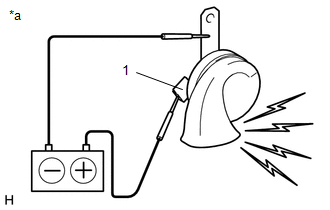 (a) Apply battery voltage and check the operation of the high pitched horn assembly according to the table below. 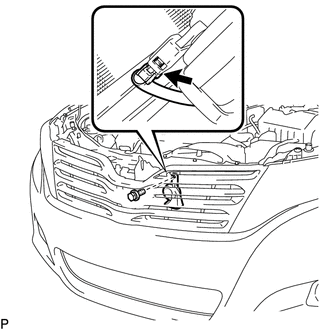 If the result is not as specified, replace the high pitched horn assembly. (b) Remove the bolt and low pitched horn assembly. (b) Remove the bolt and high pitched horn assembly. (a) Install the low pitched horn assembly with the bolt. 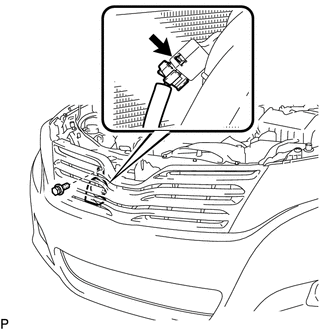 (a) Install the high pitched horn assembly with the bolt.